Casinos can sometimes seem to exist in another dimension. Walking in from a dark street to a bright room filled with flashing lights the noise of machines and people talking and shouting, and the ever present sense that somewhere in that room a fortune is waiting to be made can be a heady experience. Or is it the extra oxygen that the casinos pump into the room, to keep people happy, alert, and gambling? It could be, if it were true, and not just another Urban Legend. This particular urban legend - that casinos pump oxygen into the rooms to keep people happy and gambling - is representative of a whole sub-set of Urban Legends that revolve around casinos and poker rooms. In most of these legends the Average Joe is the loser, one way or the other, and the House is the winner. While this is often the case it is due to the built in edge the House has over the patrons, and not due to any machinations or malignant forces. Yet the legends persist, perhaps as a way to explain to the gambler why he or she keeps losing in the long run, providing a handy excuse to keep on gambling regardless. 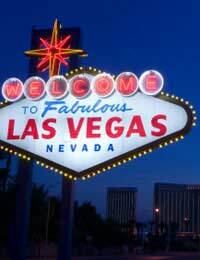 In most cases the names, currencies, and locations of the casinos featured in these Urban Legends are interchangeable. In Atlantic City it is rumoured that the computer chips of some slot machines are faulty thanks to the holy water poured in the slots by some patrons. In Las Vegas slot machines only pay out at the whim of a man in a control room, watching the scene with video cameras and determining who is worthy- according to the legend. Megabucks is a slot machine system that is linked across many casinos. Starting with a huge jackpot (in the millions), the Megabucks grows and grows until someone finally “hits it.” This is, as one could imagine, a very popular game, and one that has fostered many urban legends of its own. Most centre around someone who hits the jackpot, but can’t collect because of a mistake or ineligibility. In the case of the Megabucks, there was some truth to the legends. One player in 2001 got distracted when he was putting in the three coins needed to qualify for the jackpot. The game still runs on less, but three is required to hit. He only put in two—and sure enough, hit the jackpot. He was one dollar short of a more than three million dollar prize.